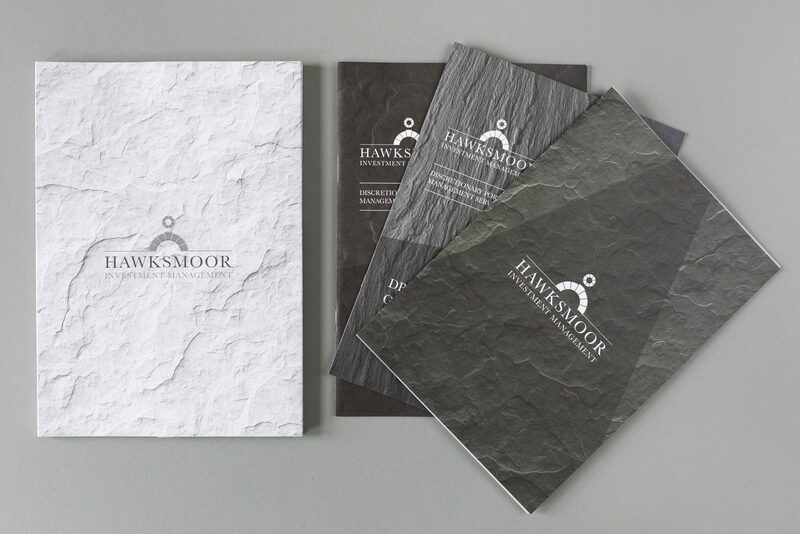 Hawksmoor was looking for a brand refresh prior to expansion. 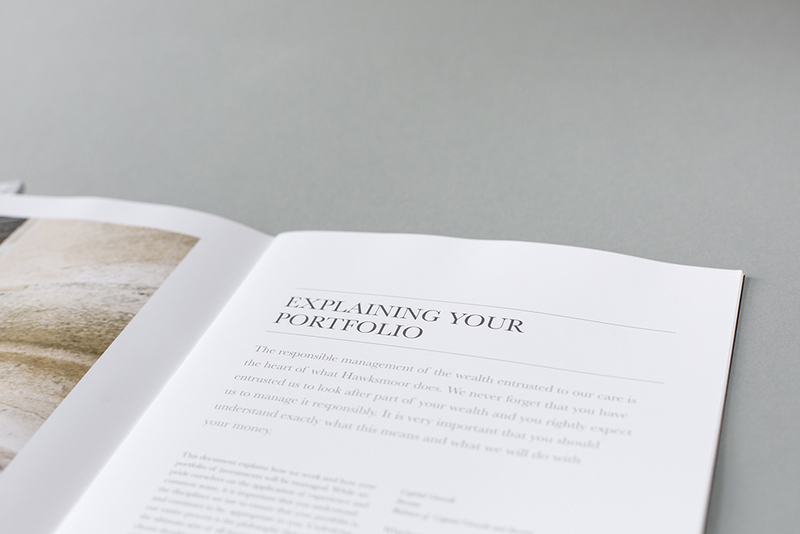 The company’s investment approach is based on a clear understanding that behind every investment portfolio there is a living, breathing client with their own unique needs and values. 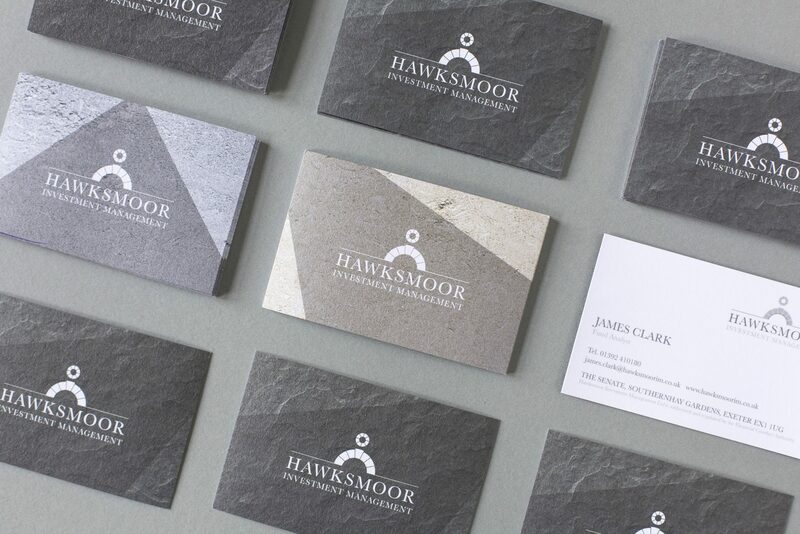 The current branding was very traditional and Hawksmoor wanted to evoke the new company ethos of innovation built on tradition. 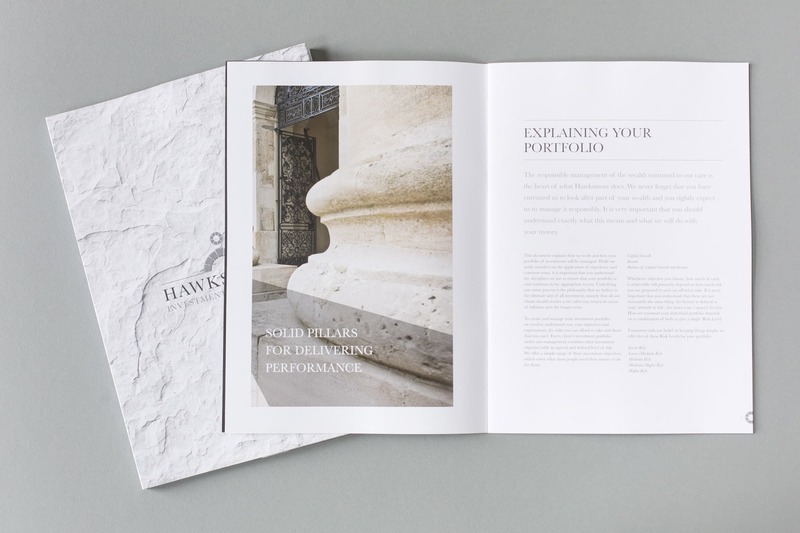 The new identity needed to reflect the company values but also retain the traditional association with the famous architect, Nicholas Hawksmoor. 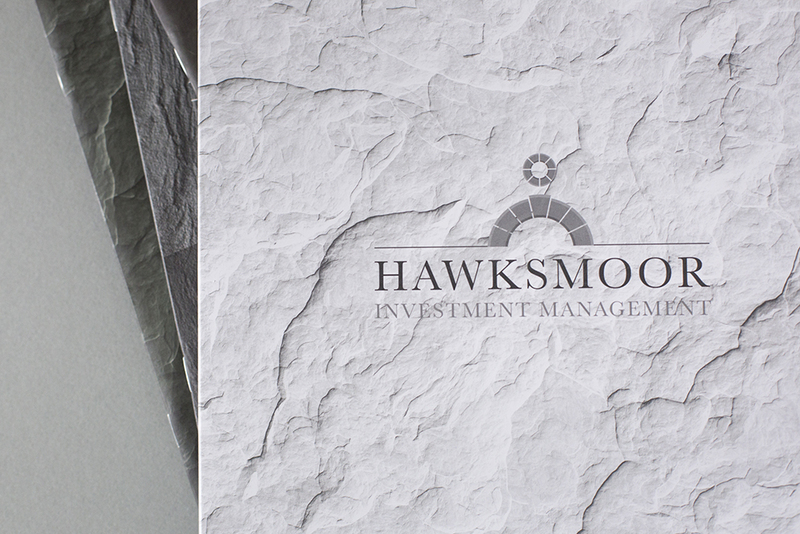 Hawksmoor was looking to take its brand and literature to a new level. 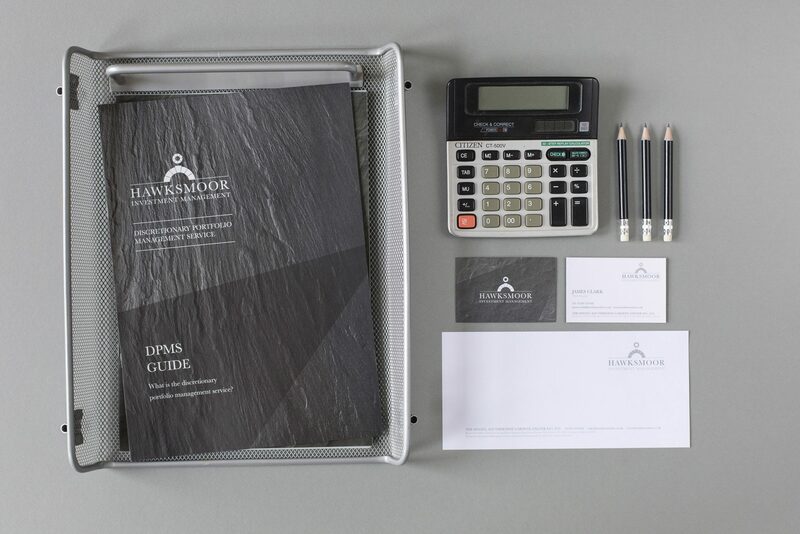 It wanted all communications to reflect the quality of the company’s products and staff. We took inspiration from the materials used in Nicholas Hawksmoor’s churches and made the textures the key element of the brand. 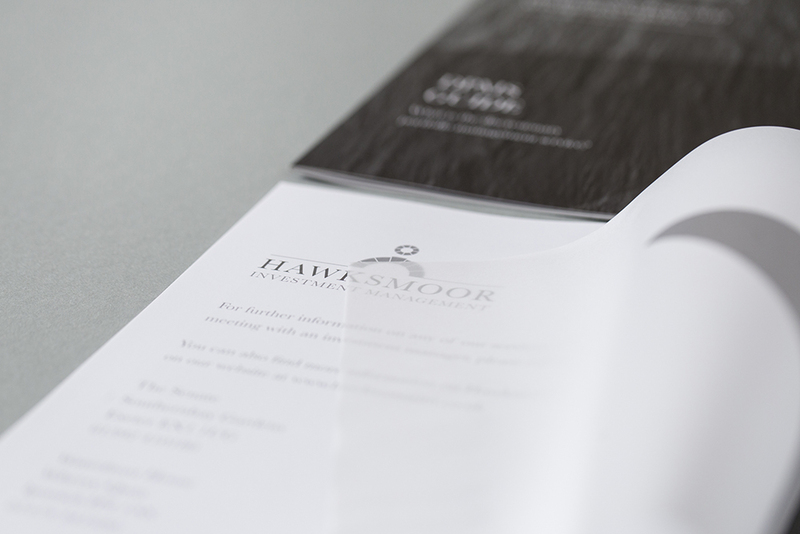 All brochures needed to be tactile to fully engage the client with the company’s attention to detail. 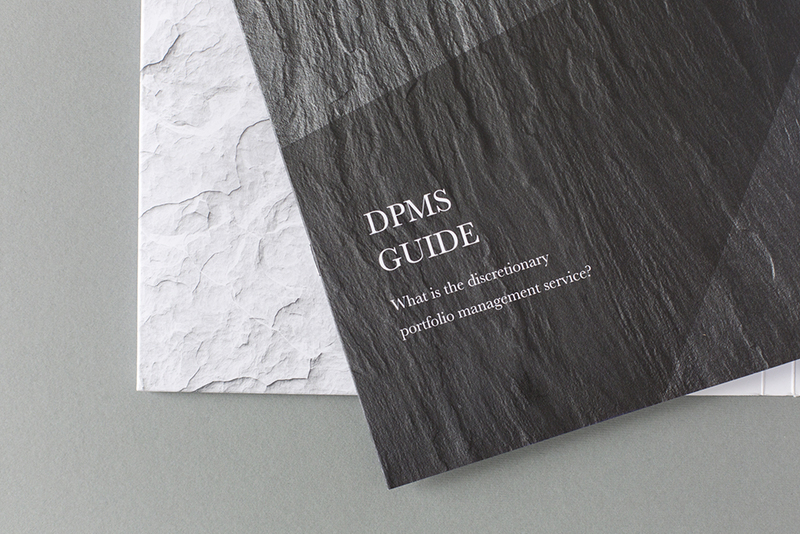 This was achieved using specialist finishes on the brochure covers to mimic building materials.